For some 3D pictures, head to my Flickr page. On the web, you can ooh, ahh, and LOL to your heart's content! Cross-eye format gives perfect detail and color without any special equipment, and is easy to view with a little practice. Anaglyph format works with just a glance if you have red-cyan (blue) 3D glasses. Parallel format is a standard for further processing, such as "wiggle" animation in the Schillr multi-format Web viewer. To read about photography, take a look at the (fully wikified) "blog". 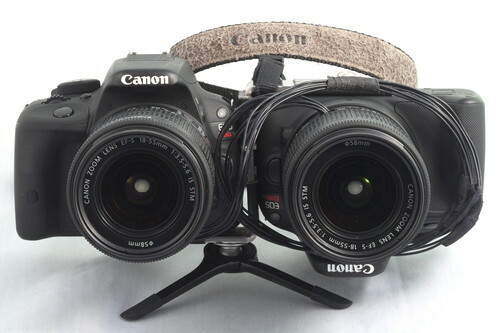 If you like this so much you want to make yourself a fancy 3D camera, check out some options in the post "Stereo Photography for the Digital Age". For a simpler 3D camera-making tutorial, try Wikihow. If you're new to all of this, consider a ready-made 3D digital compact like the 2010 Fuji W3.